Random Thoughts by Rebecca: Erma Bound! 4 Reasons I'm Stupid Excited! Erma Bound! 4 Reasons I'm Stupid Excited! I'm packing again. Honestly I just dumped the Spring Break bathing suits and sunscreen in the middle of my closet floor so I can re-pack for another trip. This one I've been looking forward to for over a year. I'm attending the Erma Bombeck Writing Workshop in scenic Dayton Ohio starting tomorrow through the weekend. I'm stupid excited. Here's why. 1. I'm a writer. I should invest in my craft. I just started owning this about myself a few years ago. I spent several years waiting for someone to grant me the title officially and since my certificate never showed up in the mail I decided to just own it. I can't NOT write. I've tried. It wells up inside of me and threatens to explode my heart. I'd like to blame the stuff that hangs over my jeans as writer's bloat too but that's pushing it. 2. My writing needs it's own space and time. When you are a writer the entire world is seen through descriptions and feelings and words. Everything. The odd character in front of you at Starbucks, the way your cat is curled up in the sun, the seething anger at your loved one that you can only process through your journal. Writing is not my full time occupation which I used to think was what needed to happen before I could call myself a writer. But I've let that go because writing is my entertainment, my therapy, my passion, my heart and my soul. When I'm standing in the kitchen putting away the dishes, my brain is processing how I would write about this simple activity and what's on my heart in that moment. I can't NOT write. Not all of my words make it to paper or screen and there are days that threatens to send me over the edge trying to find the space in the chaos of life to let the words out. You don't get to see all of the words here, some are just to release the pressure and heal my own heart. 3. I will be among my people this weekend. I've not met them yet but I know they're my kind, my tribe, my kindred spirits. Those lovers of words and the human spirit that can't NOT write. I'm not even concerned about who's a better writer, it's the thrill of the year to be in their presence feeding off their spirit and passion. 4. We will laugh from the depths of our guts and into the far corners of our hearts. Real laughter. We've already begun the laughter from our social media introductions and comments. 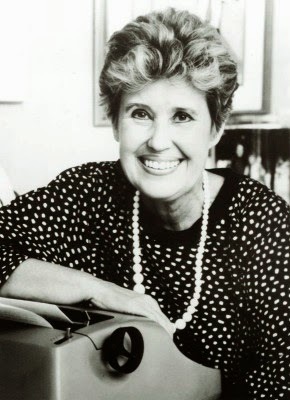 Erma Bombeck celebrated every day life in her writing. She found the humor in the mundane and raised us all up. I'm hoping for a killer ab workout from all the laughter and a few days to soothe the soul and heal some of the wounds that have built up over a long hard winter. We will laugh not just because we're at a "humor writer's" conference. I believe we will laugh because we all share the same passion. As writer's we've learned to see what others don't always see, the story behind the story and the absurd tucked beside the ordinary. See you all next week when I'll be filled up and inspired into greatness or recovering from an abdominal tear. Maybe I should do some quick research on the Dayton hospital.